Tindora fry / Dondakaya vepudu is one of the easiest of the side dishes and yet delicious!! During my childhood, we were told that tindora is one such vegetable which has no essential nutrients and causes dullness of the brain ('Mandha Buddhi'). So it was always a neglected vegetable at home. To the contrary, I just learnt that Tindora is rich in Beta-Carotene and has numerous medicinal uses of its leaves and roots. It is supposedly good for diabetic patients. I wonder why this vegetable has been 'defamed', so to say, for so long. Wash and chop the tindora into thin circular discs. In a hot skillet, add oil and saute chopped onions until they are golden brown and add the strained tindora to the sauteed onions. Add salt and continue to saute the tindora until they turn light brown. That takes about 15-20 min. The cooking can be stopped at anytime now depending on personal preference. Switch off the flame and then add the red chilli powder. If it is added when the flame is on, the chilli fumes would spread to the whole house and everybody would start sneezing!! 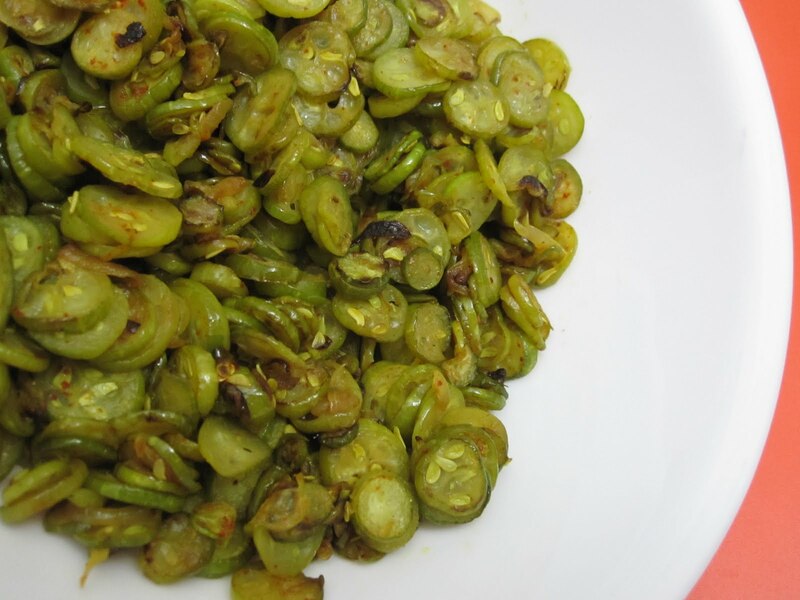 Serve it as a side dish for Sambar/Dal and enjoy! A family favourite,love it. Nice click too. Delicious stir fry, looks awesome..